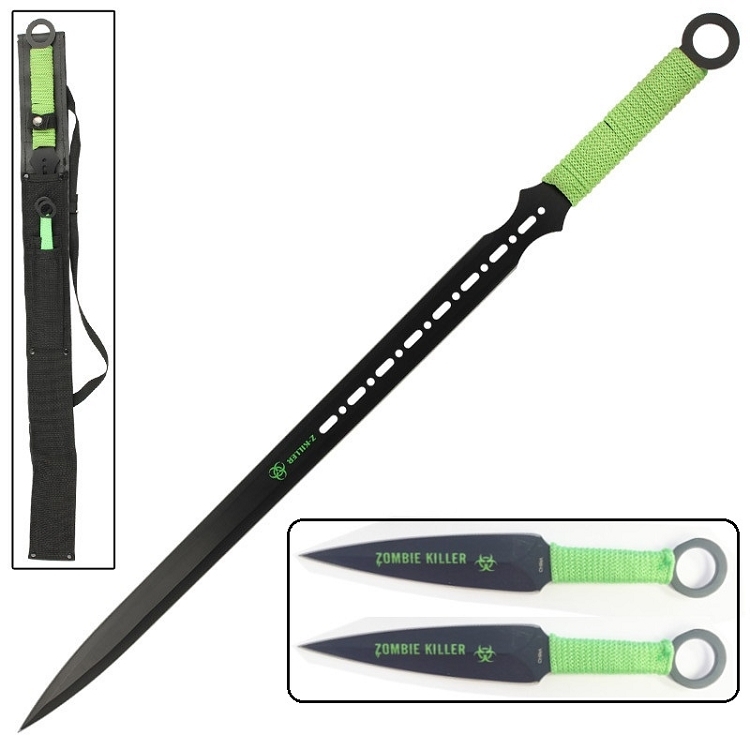 The centerpiece of this three-piece set is a full tang ninja sword measuring 27.95 inches with a double- sided 19 inch blade. 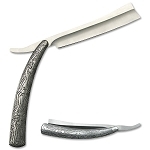 Both sides are razor sharp! 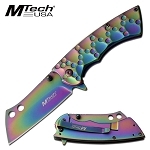 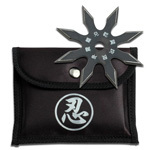 Constructed from a solid slab of tempered 440 stainless steel with a black non-glare finish, this sword is great for all types of uses including chopping & slashing fruits, paper box, misc objects, etc, and making paths in the woods. 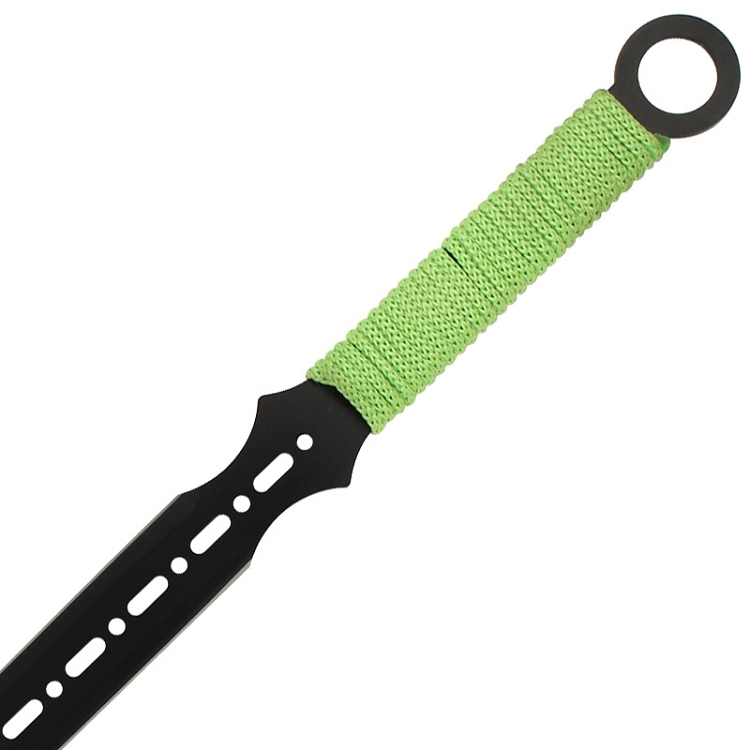 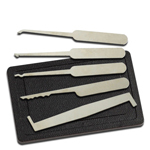 The handle features green nylon wrapping for a comfortable grip and attractive design. 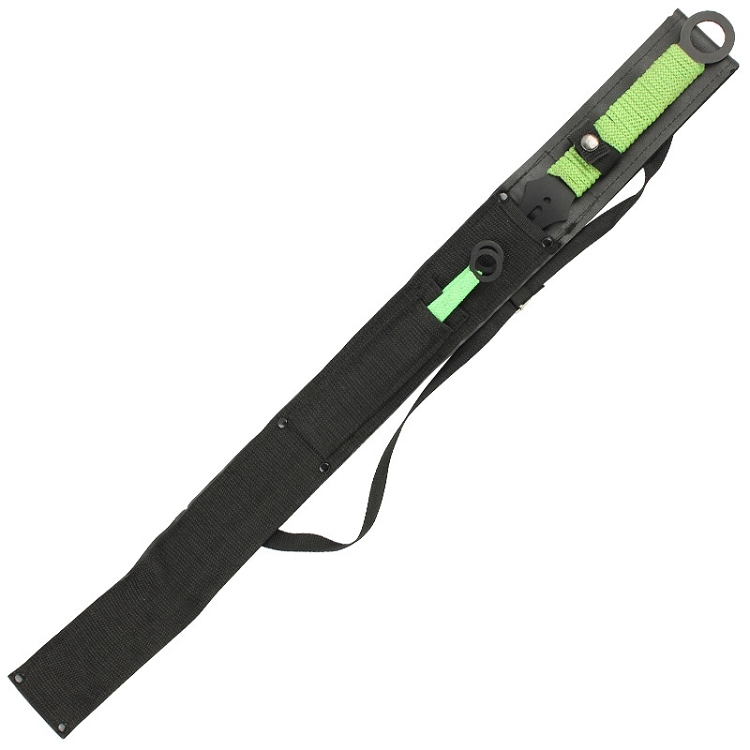 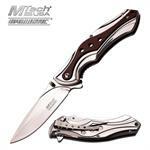 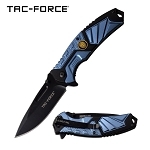 The sword comes cased in a heavy duty nylon sheath which features a belt loop as well as a shoulder strap along with a separate housing for the 2 throwing knives. 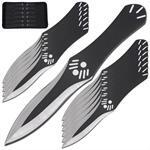 Aerodynamically shaped in order to zip through the air, the throwing knives each feature large finger holes for easy handling. 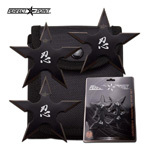 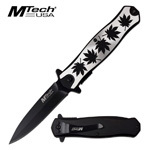 The sword and both throwing knives all feature distinctive Zombie Killer stamps on the blades. 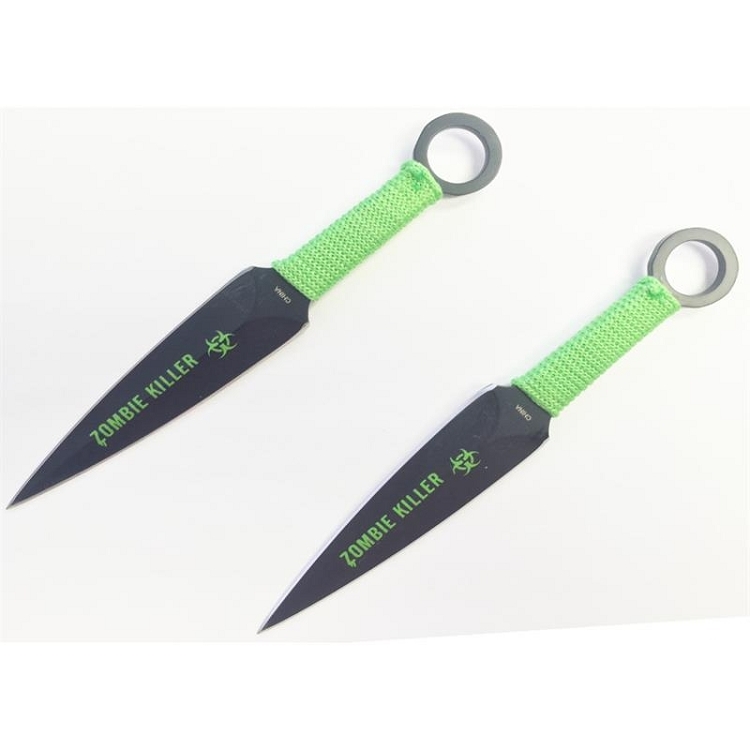 The sword and both throwing knives all feature distinctive Zombie Killer stamps on the blades.